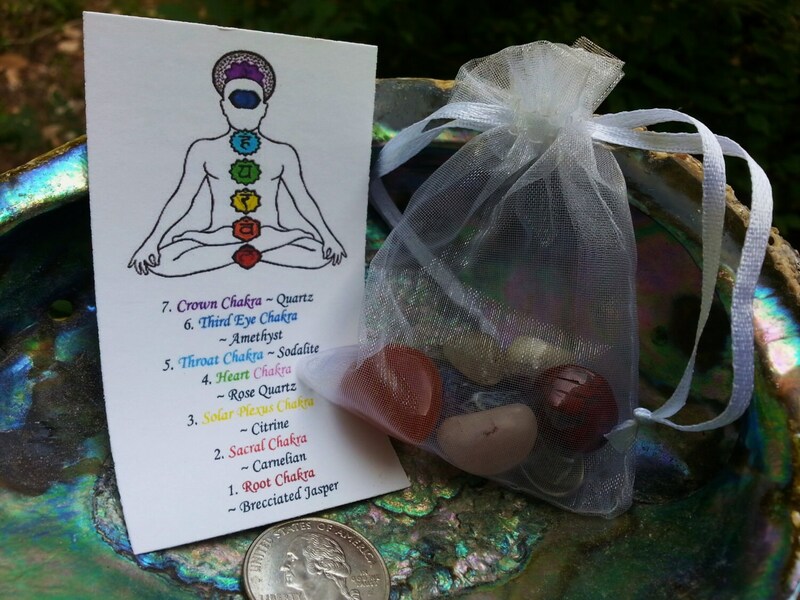 A crystal for each of the main seven chakras and tips for using them. 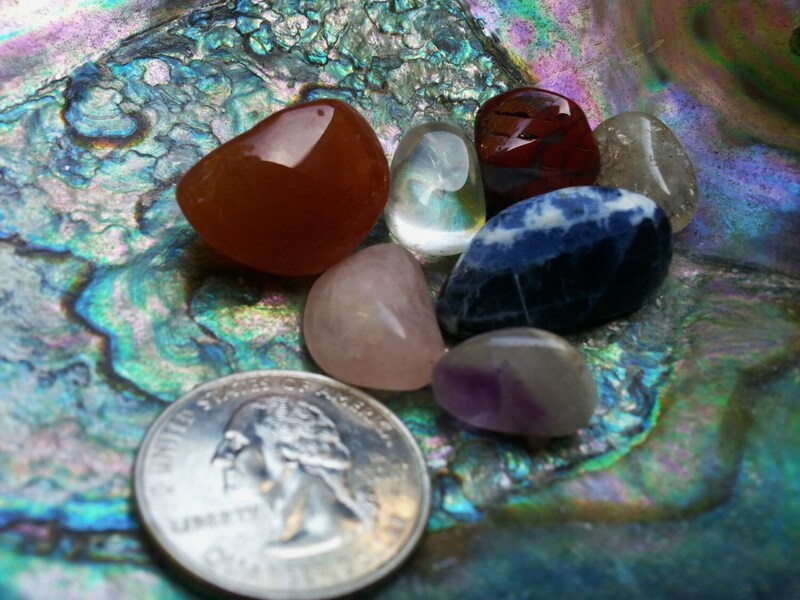 Brecciated Jasper, carnelian, citrine, rose quartz, sodalite, amethyst, and quartz, plus you can choose a green stone as well for the heart! 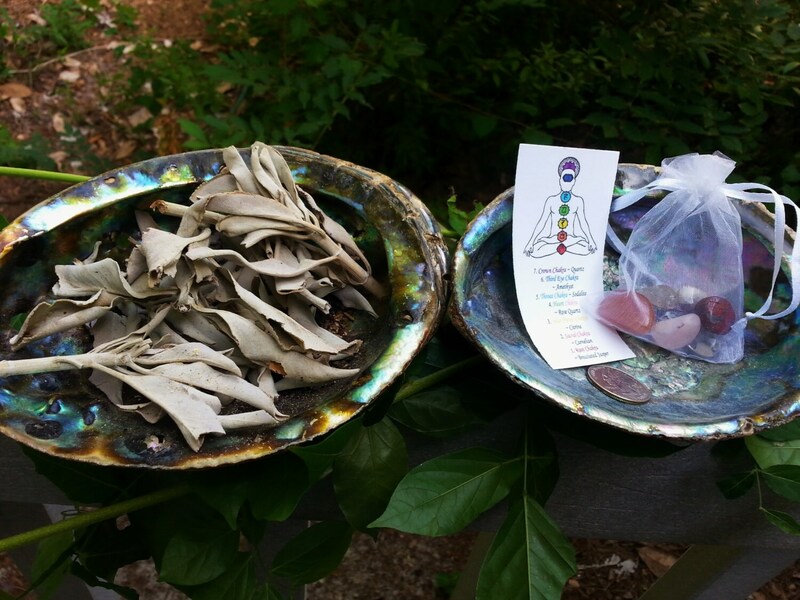 Includes information cards, 8 crystals, and an organza bag. Very pleased with the quality of the crystals I received. thank you so much. fast shipping, very nice set, info card... perfect! It was a gift and my friend really liked it. She especially loved the information cards and sage packed with everything.